Designed for the Roland DWX50 and DWX51D milling machines - Ride-On unit with optional onboard compressor. 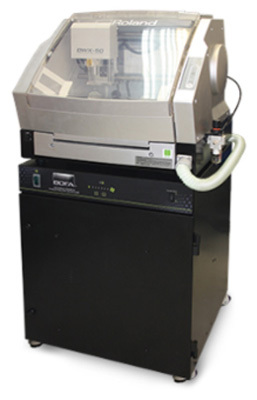 BOFA Dental PRO Base Ride-On dental extraction unit has been developed specifically for Roland's DWX50 and DWX51D dental milling machines. The unit's high efficiency two stage filtration system effectively removes dust particles generated in the production of dental implants and ensures that the laboratory environment remains clean. The DentalPRO BaseDWX extractor has mounting positions so the milling machine can be securely placed on top of the extraction unit, doubling up as a space saving stand. The onboard compressor option provides the miller with clean oil-free air. Get in touch today to talk about your needs and our best prices. Click here for the full datasheet. BOFA's DentalPRO Universal stand alone dust extraction system effectively removes smaller particulates generated during the CAD/CAM milling of dental implants. The unit's high efficiency two-stage filtration process allows technicians to work safe in the knowledge that dust particles are being effectively removed to maintain a clean working environment. 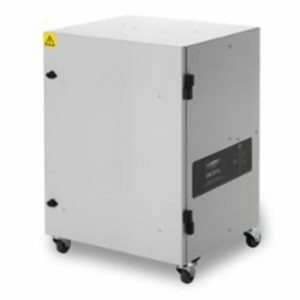 The unit's high vacuum pump is brushless and designed for continuous running for longer periods of time before requiring servicing. The bag filter has a large 18 litre capacity and the HEPA filter removes particles down to 99.997% at 0.3 microns. Get in touch today to discuss your needs and to get our best prices. Click here for the full datasheet.